Drinking water hasn’t been a huge issue in the race for governor, but it’s everything for people in Kewaunee County. The county has become the poster child for water quality concerns in Wisconsin. Federal, state and local leaders have been working with researchers to address contamination. Progress is being made to protect drinking water, and candidates have shared their thoughts on what should be done to address water contamination. But progress can be slow moving. 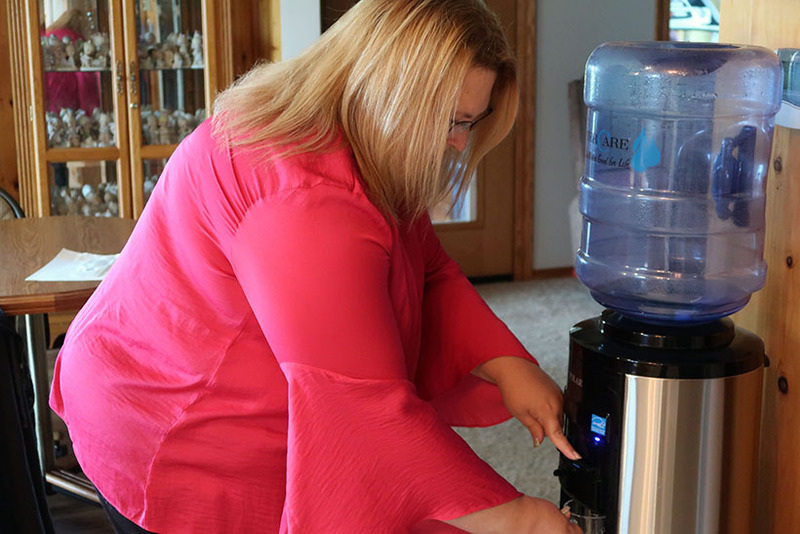 Every day, Erika Balza fills up the coffee pot with water for her husband at their home in the Kewaunee County village of Luxemburg. However, she said they don’t use any tap water for drinking or cooking. “Basically anything that goes inside is going to be water out of the water cooler,” she said. Balza pays $30 a month for six water coolers and buys 24-packs of bottled water because she doesn’t trust her well water is safe to drink. Two years ago, her husband turned on the shower before bed and the water came out brown. Erika Balza fills up a glass of water in her Kewaunee County home. She doesn’t use tap water for drinking or cooking, optin instead to use water from her water cooler. Photo by Danielle Kaeding/WPR. Balza said manure spread on a nearby field contaminated their water. The couple went for 16 days without water in their home, and it was more than a month before a new well was installed. Tests conducted early last year showed the water was safe to drink. But, it had to be chlorinated after the well tested high for nitrates and bacteria this past March. Balza said they’ll only use well water for washing clothes and dishes. Families like Balza’s have been helped by state government under Gov. Scott Walker‘s administration. But the question for some is whether Walker’s state Department of Natural Resources acted soon enough and whether it’s done enough to help. Walker’s DNR formed a work group to address water contamination several years ago. But, that was after environmental groups and residents filed a petition with the U.S. Environmental Protection Agency in 2014 to investigate contamination in the county. “The Wisconsin Department of Natural Resources has failed to fulfill its duty to protect groundwater quality, and Kewaunee County — while actively engaged in public education and research related to groundwater quality — is largely precluded from taking action to remedy this problem by state law,” the petitioners wrote. The DNR’s groundwater work group provided recommendations to review enforcement for large farms known as concentrated animal feeding operations, or CAFOs, to develop guidance on compliance, create an electronic database and add staff. The DNR also commissioned a two-year study in 2015 to find types and sources of contamination. The study sampled more than 300 wells in November 2015 and 400 wells the following July for total coliform bacteria, E. coli, and nitrates. The thinner the soil, the more contamination they found. The study also showed 60 percent of 131 household wells tested had signs of waste from both cows and people. “There are times of the year where the majority of the impacted wells are seeing bovine contamination, and there are times of the year where there’s more human contamination than bovine contamination,” said researcher Maureen Muldoon, professor of geology at the University of Wisconsin-Oshkosh. But, Muldoon said they see higher concentrations of contamination from cows, which outnumber people in the county 5 to 1. The county’s 185 livestock farms and 16 CAFOs generate around 700 million gallons of manure each year. The research led to new state standards for manure spreading in eastern Wisconsin that were approved by Walker. Farms with less than two feet of soil won’t be able to spread manure because it’s more likely contaminants will pass through thin soil into the region’s fractured bedrock, ultimately reaching groundwater. Farm organizations like the Wisconsin Farm Bureau Federation and Dairy Business Association say they would like state funding for county conservation staff or cost-sharing to help farmers meet new standards, said Paul Zimmerman, the federation’s executive director of governmental relations. 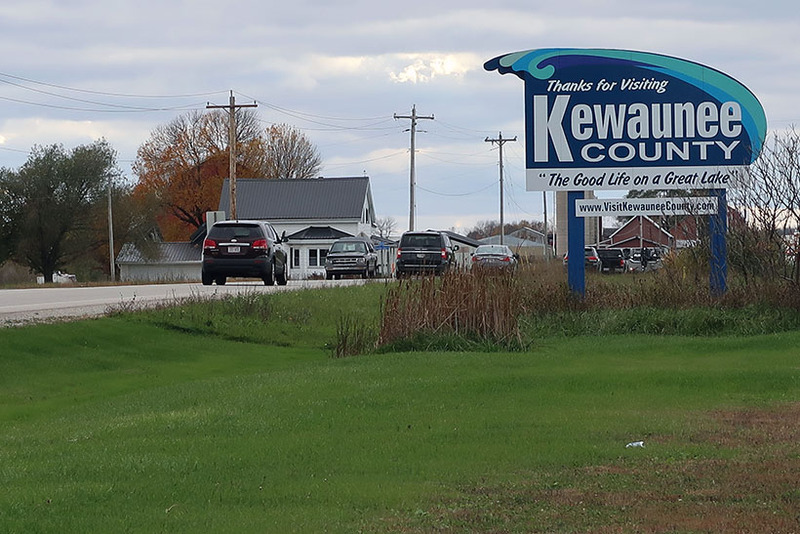 A sign reads “Thanks for visiting Kewaunee County.” The county has become the poster child for water quality concerns in Wisconsin. Photo by Danielle Kaeding/WPR. Don Niles co-owns Dairy Dreams, a 2,950-cow dairy farm, and he works with the farmer-led nonprofit Peninsula Pride Farms. The organization offers cost-sharing to help farmers meet new standards with the assistance of grants from the state and groups like The Nature Conservancy. He’d like to see more support and flexibility from the state to address water quality concerns. “In a challenging dairy economy as we have right now, all of these projects and practices that we’re using are new to us — many of them are new to us — and have some cost to go along with them in a year where the farm might not be actually making a profit,” said Niles. The Wisconsin Dairy Business Association said the new standards aren’t perfect and represent a compromise. The group hopes manure spreading restrictions are implemented in a way that’s practical for farmers. The Wisconsin Department of Agriculture, Trade and Consumer Protection is changing its administrative rules to develop technical standards and best management practices to implement the new standards, according to the agency. The rulemaking process usually takes about 18 months. The restrictions on manure spreading that will require farmers to make changes to implement should help alleviate water quality concerns, said UW-Oshkosh’s Muldoon and U.S. Department of Agriculture research microbiologist Mark Borchardt. “Given the data we have in hand, it wasn’t as big a step as probably should be taken, but it was a step in the right direction,” said Borchardt. The problem, Muldoon said, is that spreading restrictions and soil depth don’t provide the most protection for groundwater. Kewaunee County farms span more than 175,000 acres and agriculture has an economic impact of $80 million each year — the bulk of which stems from the dairy industry. Kewaunee County conservationist Davina Bonness supports the new state standards and is working to implement recommendations from the DNR’s work group. They’re working with farmers on the new rules, and with homeowners to update septic systems. She adds the county recently passed an ordinance to adopt state standards at the local level. It’s that DNR staffing that has come under scrutiny in the race for governor. Critics argue DNR staff and funding cuts under Walker’s administration have led to lax enforcement and oversight of water quality. Democratic gubernatorial candidate Tony Evers said that and limits on local control are the root cause of the state’s drinking water problems. Evers said he would increase staff and funding for the agency and provide low-cost loans to help address well contamination statewide. He would also allow local governments to exceed revenue limits to address drinking water issues. 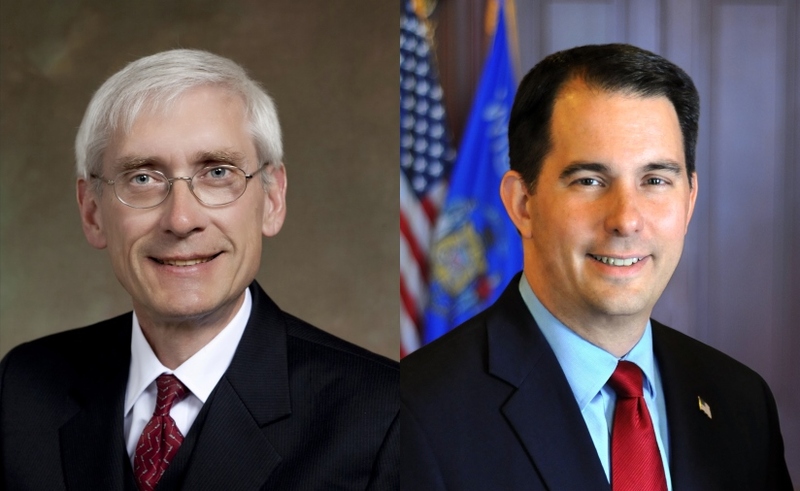 Walker’s campaign spokesman Austin Altenburg said in an email that the governor has taken action with the DNR and other organizations to address drinking water issues statewide. “The governor is committed to working to ensure that all families in Wisconsin have access to healthy drinking water, and will continue to work with those that can help us achieve our shared goals,” said Altenburg. 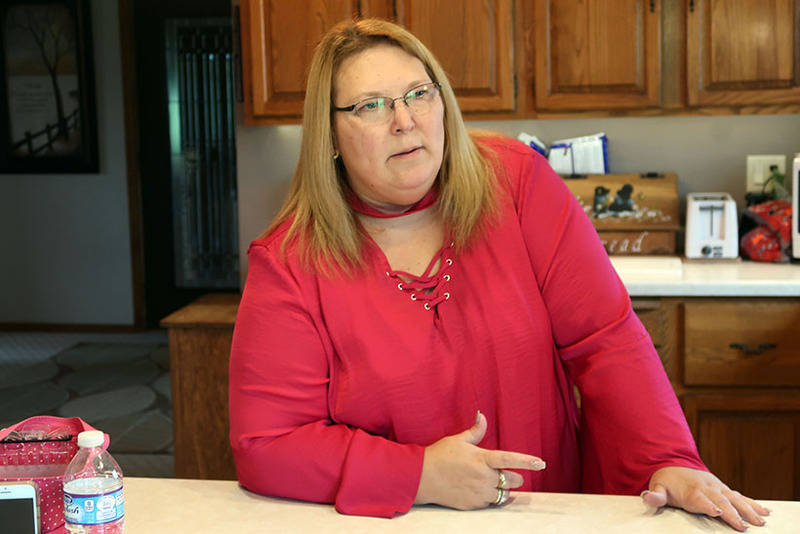 Balza, of Luxemburg, said a state grant paid for 75 percent of the cost to replace her well and Peninsula Pride Farms paid the rest. “Some people have $14,000 on hand, but we don’t, especially with medical bills,” she said. Two programs under the DNR provide grants for private well owners affected by contamination, according to the agency. As of Oct. 1 around $803,000 was available through both programs. Balza, who was diagnosed with stage 4 breast cancer in 2015, said she’d like to see more people enforce rules that protect drinking water to protect those most at risk of becoming sick from contamination. Erika Balza says her well in Kewaunee County has been contaminated with nitrates, bacteria and manure because of farming practices and the region’s fractured bedrock. Photo by Danielle Kaeding/WPR. 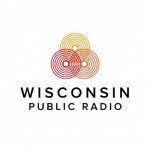 Walker, Evers On Wisconsin’s Drinking Water Woes was originally published by Wisconsin Public Radio.